Should a country called the "economic superstar" that is situated on the same continent and in the same economic zone as Germany - a country that is home to many strong global brands such as Porsche, BMW, Mercedes-Benz, Audi and Volkswagen - have had to earn such a lofty credit by having an economy based on stability and long-term viability? How could a system miss a country like Germany while naming Spain its superstar? As if to say, "you should pattern your economy after the standards set by our superstar, Spain". 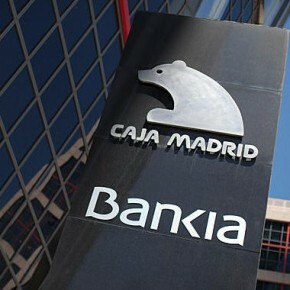 And now, from where is the money supposed to come, to bail out Spain? From the other countries who were not deemed to be economic superstars? From public coffers, paid back through "austerity" policies and downward pressure on wages that most hurt the people least able to absorb the financial straits? Is this not an accelerator of the increasing wealth gap? As we continue to observe that "the rich get richer", clearly "austerity" is not an imposition on their stratospheric collective net worth and disproportionate share of their respective nation's economies. Unless being named an "economic superstar" encouraged the nation to do more of what it was doing, which was unsustainable in the first place. Unless being called an "economic superstar" was like greasing the skids at the edge of the cliff and then providing a helpful push. Instability, uncertainty and confusion create the perfect sleight of hand - while we watch the collapse, we are missing the robbery of the poor. Reflecting on Canada, Mark Carney, former governor of the Bank of Canada, is now governor of the Bank of England. That cat helped keep Canada relatively stable through the financial downtown of the last five years. His steady hand at the wheel of Canada's money supply drew the world's attention, and he was recruited out. Now that the cat is away, will the mice play and undo all he did?